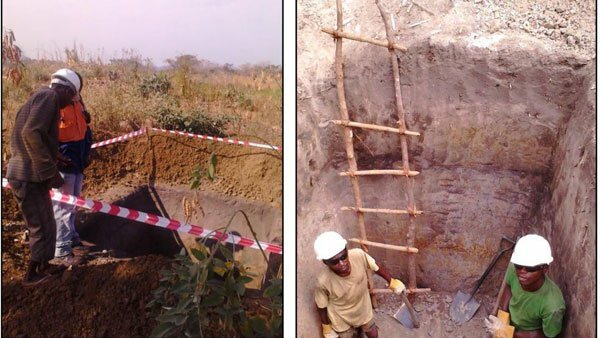 Africa-focused graphite explorer Metals of Africa Limited (ASX: MTA) has confirmed high grade graphite mineralisation at its Balama Central Project in Mozambique, along strike from one of the world’s foremost graphite deposits. The Company firmed up the prospect from rock chip samples taken from a recent pitting and trenching program earlier this week. Samples collected had visual graphite estimates of 5-20%, with flake sizes ranging from fine to jumbo and averaging large. The sampling program also identified vanadium mineralisation. While the results don’t confirm the presence of commercial quantities of graphite yet, it does give MTA the impetus to start drilling at the Balama Central Project in the fourth quarter of this year, after it has completed drilling at its Montepuez Graphite Project. Both projects are in the world-famous Cabo Delgado province of Mozambique, and the Balama Central Project is along strike from Syrah Resources’ deposit that is contained in an adjoining tenement. Metals of Africa is also looking into opportunities to refine the graphite on-site, and recently advised investors that it had managed to produce both graphene oxide and graphene from its graphite ore via a scalable process. While the sampling and the numbers are early stage, it does throw up the possibility that the graphite at MTA’s Balama Central Project could be an extension of the same geological body that hosts Syrah’s deposit. “Our recent trenching work has proven that the cause of the significant VTEM (versatile time-domain electromagnetic) conductor within our Balama Central Project is due to the presence of high grade graphitic material,” MTA Managing Director Cherie Leeden said. The forward plan will now be to complete sampling of 11 infill pits, and mapping and recording any structural data ahead of a drilling program in Q4. Currently, the global market for graphite is valued at roughly $15.06 billion, according to a recent P&S Market Research report on the material. The report has also tipped the market to grow by 4% per year until 2020, which means in 2020 the market will be worth approximately $17.14 billion. The market demand for the material is being driven by a number of factors, but is thought to be down to an increasing appetite for lithium-ion batteries. The batteries power a number of consumer good electronics such as cameras and phones, and the revolutionary electric car company Tesla recently gave the graphite industry a shot in the arm by announcing that it would build a $5 billion lithium-ion factory in Nevada to produce the batteries which literals make the wheels on its electric cars go around. In addition, new uses for graphene are being found all the time. For instance, auto manufacturers are using graphene in brake pads as they make less noise while breaking, and solar manufacturers are using the material for solar panels. It is also being used in 3D printers as an ink. With the world turning green, the material that will underpin this revolution is shaping up as graphite – and the good news is that there’s a shortage of it. The global supply and demand gap is currently estimated to be about 1,500 tons, which means companies supplying the material will be doing so into a seller’s market. The Australian explorer currently has three projects on its plate, with its two graphite projects in Mozambique and a zinc-lead project in Gabon. 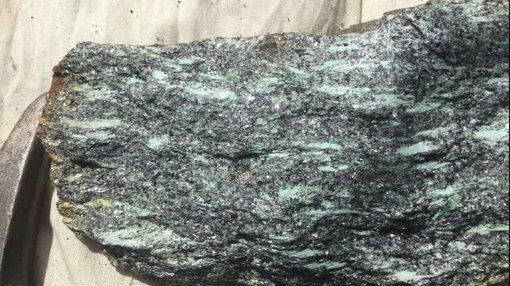 Its flagship graphite project is at the Montepuez Central Graphite Project in the prolific Cabo Delgado graphite province. So far, it has found three key prospects at the Montepuez Central Graphite Project including the Buffalo, Elephant, and Lion prospects. During the last quarter, it found high-grade mineralisation at the Buffalo prospect including a 50m section from surface with total graphite content of 9.86%. Meanwhile at Elephant, it has found a mineralisation with 5-15% graphite content from 8.7m below the surface to 93m below the surface. The second project at Balama Central sits smack-bang in the middle of two resources held by Triton Resources and Syrah Resources. Triton has a resource of 1.45 billion tons of raw material at 10.7% graphitic carbon and has a market cap of $84 million. Syrah has a resource of 1.15 billion tonnes of raw material with 10.2% graphitic carbon and has a market cap of $640 million. Drilling at the Montepuez Central Project is set to continue this month, with an eye to providing the market an idea of just what it could be sitting on via a JORC-compliant resource. However, MTA is not just planning to dig the stuff up, but process it and refine it as well in the future. To make it to market, graphite has to undergo several processes to make it closer to the material used by manufacturers to put into batteries and other products. To do this, a company generally has two options. It can either sell the raw graphite to a company which will then refine it and sell it on, or it can refine the material itself. The more it needs to be refined, the more it costs. MTA however, with its high grade material, has managed to produce graphene oxide using a thermal process, a process which is easily scalable. Better yet, it has produced graphene which is comparable with synthetic graphene meaning it is more valuable to buyers. Together with the Montepuez drilling ongoing, the news means that MTA will have plenty of activity well into the fourth quarter of 2015. Over in Gabon, MTA discovered the highest ever grades of zinc and lead ever recorded in the country as part of its rock sampling program at its Kroussou Project. It returned grades of up to 9.69% zinc and 33.1% lead, with elevated copper and silver thrown in as a bonus. As well as the rock sampling, it has also completed a detailed mapping project in the area, meaning that it now has a better idea of where to look next as it seeks to firm up the resource at Kroussou. The mapping work identified continuous cretaceous contact over the 85km project area, and is hoping it will provide further zinc and lead prospects to follow up on. Interestingly, the company is also working with the local mines department to translate date from a significant drilling completed by the previous tenement holder ‘Kroussou Syndicate’. The Syndicate was the only company to explore in the tenement area to date, however the results were in hard-copy and in French. The Company has now digitised the data, and is processing the translation of the documents. If MTA is able to translate the results and cross-reference them with its own data, there could be further drill targets to hit.